Tony Hawk Said To Be Working On New Game, While EA Teases Skate 4. So what does this tweet mean for Skate fans? Well, EA has definitely heard the cries, but are they taking action? E3 2017 is set to happen this June, and many fans are hoping this is where the highly sought after game will finally be announced. But here’s where things get interesting; Tony Hawk recently conducted an interview where he announced he was involved in the creation of a new game, not partnered with Activision. Previously, all Tony Hawk Pro Skater games were partnered with Activision, and this separation could mean 2 things: Tony Hawk has decided to join forces with EA and the creation of Skate 4, or an all new skateboarding game will be debuting soon to compete with the Skate and Pro Skater franchise. After the flop that was Tony Hawk’s Pro Skater 5, it looks like Tony Hawk and Activision decided enough was enough Pro Skater 5 would be the curtain call for Tony Hawk and the franchise. This doesn’t mean Activision won’t be introducing another skating game sometime soon, but it does mean it won’t be another installment in the Tony Hawk Pro Skater franchise. It was clearly early on in the competition that the Skate franchise was much better received than Pro Skater, even with fewer titles to its name. 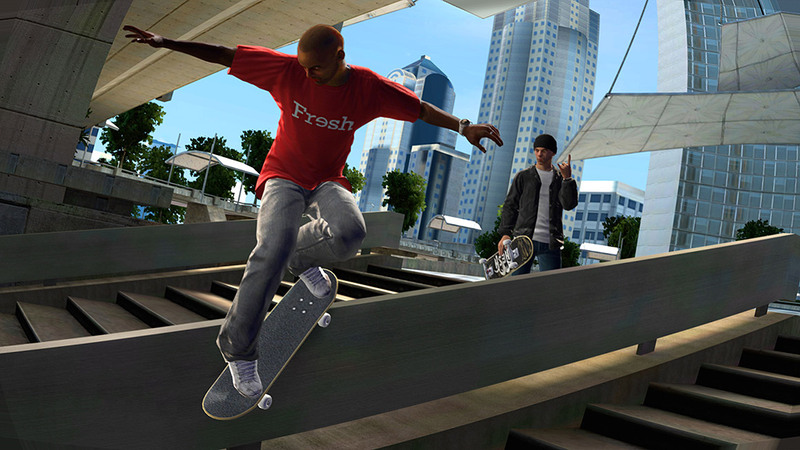 An EA and Tony Hawk partnership, which is not confirmed yet, according to the skating legend, could mean an awesome cameo or storyline is in the works for the successor to Skate 3. What do you think this announcement from Tony Hawk means? Will we be seeing Skate 4 featuring tony Hawk, or an entirely new skateboarding game hitting the shelves sometime soon? Let us know in the comments below! While writing this article, EA has confirmed that there will not be a Skate 4. What a bummer, but hopefully we will see Skate 4 one day!